Apparently all of the cars this season currently exceeds the minimum weight of 691kg. Thus it means the use of ballast is completely out of the question. Obviously the taller drivers have a natural disadvantage, Marcus Ericcson for example has discovered he is 8kg heavier then Kobayashi which could cost him a few tenths per lap. This season there are new static tests for the monocoque, which are now more difficult to pass and costs about 5kg. All of the batteries and energy recovery systems weighed about 25kg last season and this season all of the new systems weighs about 60kg. The power source unit has a minimum weight of 145kg. Currently Ferrari's unit are about 12kg overweight, however it also appears that Ferrari is the lightest or the least overweight. The turbo casting that shields exploding parts seemed to have helped Ferrari in this regard. Ten pounds could apparently mean up to 3 tenths per lap. The weight of the car is a place where there will be much room for improvement throughout the season. Maranello, 12 February – “Go quickly but be careful,” was the imprecation from the chancellor Antonio Ferrer to the coachman Pedro as he urged him through a crowd in the famous Italian novel by Alessandro Manzoni, “Promessi Sposi.” The same caution laced with realism and confidence in his team has characterised Stefano Domenicali’s approach to the coming Formula 1 season. “I am always cautious, not through a fear of saying what I think, but because I am well aware how quickly things change in this sport,” said Scuderia Ferrari’s Team Principal. “In Jerez, we saw the F14 T get off on the right foot, responding well to changes, while the basic data corresponds to the parameters established in the wind tunnel and there were no bad surprises. Clearly there is still much to do because it’s impossible to start with a perfect car in a season featuring so many changes. The start of the championship will be full of unknown quantities and it is far too early to make any sort of prediction. I think we will start to understand a bit more only at the last Bahrain test. My optimism is based on the fact we know which areas need working on: caution is always a good approach, but that doesn’t mean the people working on this project lack the commitment or the will to show our competitors how well we can do things at Ferrari. Since last September, a lot has been said about the Ferrari driver pairing for 2014, which for the first time since 1953, sees two world champions sharing the same red garage. “It was a rational choice, based on the need to have an expert driver pairing, with the one aim of it doing well for Ferrari. I hope the track will show that it was the right choice,” explained Domenicali. “How will we manage them? Decisions are always carefully considered, but they always have the same aim, which is that the sporting decisions are taken to reach the team’s goals, as the interest of the team always comes before all else. Decisions we have taken in the past have always been reached in this spirit. thanks for that detail momo!! Do we still have Kinga around? or maybe some other Hungarian Kimi fan that could be kind to translate this? No, just Ldm was asked: acc to E. Ferrari every driver gets slower by 1 sec after becoming father, would it be the case by Kimi? 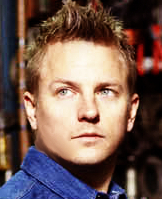 Now LDM will go ask Kimi: Why didn't you tell me you will be a father? And Kimi will go: What!? Feb.21 (GMM) The possible threat of protest is now hanging over next month's season opener in Australia. We reported a month ago that a dispute was brewing between F1 engine suppliers Ferrari, Mercedes and Renault. The dispute is about the protective covering on the top of Ferrari's turbo unit, weighing in at a crucial 3 kilograms lighter than the ones fitted on the Mercedes and Ferrari units. Mercedes and Renault argue that Ferrari's cover needs to be more substantial for safety reasons in the event of a dangerous turbo failure, but Ferrari's explanation was initially accepted by the governing FIA. Reportedly, Ferrari's setup mitigates the need for a heavier cover because the turbo shuts down at even the slightest sign of failure. "Mercedes and Renault are not satisfied that the FIA is satisfied," said Auto Motor und Sport correspondent Michael Schmidt. "Either Ferrari builds a stronger cover, or there could be a protest (against the results) in Melbourne," he added. Another option is also being considered by Renault and Mercedes: copying the Ferrari solution and thereby saving 3 kilograms in crucial car weight. "The time until homologation on 28 February is however too short," Schmidt explained. "In the paddock it is now rumoured that Ferrari is strengthening the turbo housing to be on the safe side." W...my signature says: what is of importance is the road...meaning the road to a target...its from one of our most important poems, called Ithaka, where the poet writes that we must wish that our road to Ithaka must be a long one, full of obstacles and difficulties. otherwise a road is dull, boring..
Ferrari technical director James Allison says that the Italian team made good progress at the first Bahrain test. Although Kimi Raikkonen had a crash right at the end of the last day the F14 T ran a lot of laps. “We came to Sakhir aiming to work steadily through the huge list of actions that we must complete,” Allison told the Ferrari website. “We wanted to maximise track time, working methodically in order to be ready for Melbourne. I have to say that, with the exception of the morning of the third day, we did just that. Crucially the team was able to move on from systems checking to actually preparing for races. “We have been able to start to open up our understanding of the handling characteristics of the car and to begin to learn what sort of set-up parameters the tyres respond to. Continuing with this work will be an important part of the programme over the last four days here in Bahrain.